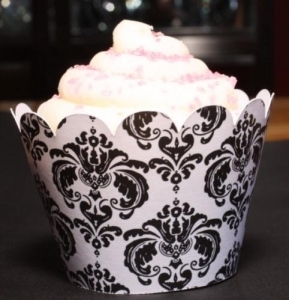 Choose the color for your damask cupcake wrappers to match your color scheme! 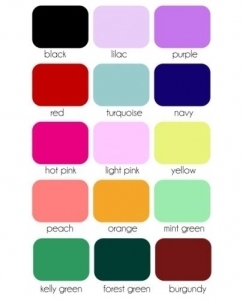 If you'd like another color than what is shown - simply tell us in the "Additional Comments" text box! The perfect accompaniment for any Damask party theme, our wrappers instantly dress up your cupcakes and your dessert table. These cupcake wrappers are not for baking. They are used for display only. Our wrappers have a tabbed end that fits into a slit on the other end; very easy to put together although we also include instructions. Wrappers measure 2 1/4" to the top of the scallop. Flat rate shipping is only $3.00 per order! Please allow up to 7 business days to fulfill your order; then add shipping time.